Boost productivity and accuracy in your order picking operation. 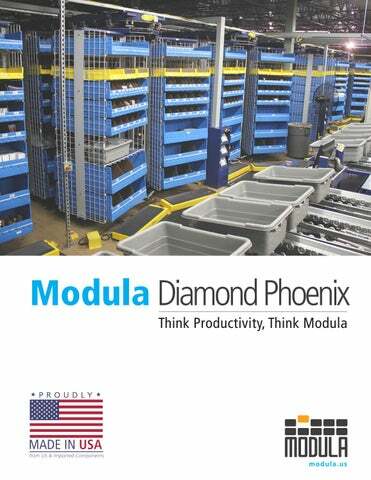 Modula Diamond Phoenix Horizontal Carousels are the ideal solution for high speed picking operations. Horizontal Carousels consist of carriers that are supported on an oval track that deliver stored goods to the picker. To increase throughput, two or more carousels (known as a pod) are often integrated with a workstation that is configured with batch picking software and pick-to-light. Productivity can be increased by up to 65% with the Modula Diamond Phoenix Horizontal Carousel. Light directed picking The Modula Diamond Phoenix Horizontal Carousel is easily configured with light displays to effectivly communicate messages between the software and operator. 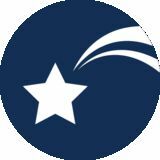 Modula WMS software suite Modula WMS is a fully featured warehouse management software that can easily be used to manage the space and utilization of Modula units, or as a standalone software tool. It can easily be interfaced with nearly any ERP system. Work stations An integral part of our horizontal carousels system design is the work station. With a broad choice of modular components and options, our cost effective workstation can be configured specifically for your operator’s tasks - from high speed picking and putting to scanning, kitting, ticketing, bagging, labeling, weighing, logging, packing, inspecting and more. Easy to adjust or reconfigure as your needs change, it’s the industry’s most versatile, flexible workstation ever offered. Operator safety All Modula units are equipped with physical and optical safety barriers in order to ensure a 100% safe environment to operators. Infinite configurations Our Horizontal Carousels are designed to be comepletly flexible. Carousels can be used as a stand alone unit or arranged in multiple pods and can even be triple or double stacked; all depending on your operations requirements. Bins also have flexible configurability, coming in a wide range of heights, widths, and shelf designs. Batch picking Batch picking is common in horizontal carousel pods. Batch picking allows an operator to fill multiple orders at one time. Using inventory management software, an operator can create a batch of orders and fill them all at one time. When the horizontal carousel presents a SKU for picking to the operator, the operator picks the total SKU quantity for all orders, and distributes the SKU quantity among all of the orders in the batch. Using batch picking, the operator only visits a SKU location one time during picking, creating efficiencies. Batch picking multiple orders at one time can increase productivity by up to 65%. Modula WMS software For the integrated management and control of Modula automated storage technologies, Modula has developed the Modula WMS software. With the use of software you are able to track inventory and increase productivity in your operation. Modula WMS facilitates batch picking allowing the operator to fill mutiple orders at one time. With higher order volume, multi-user picking can provide further flexiblity and productivity. WMS software can simply and effectivly communicate with multiusers and integrate the use of pick-to-light, bar code scanners, and printers to keep your operation performing at itâ&#x20AC;&#x2122;s best. Podless The Modula Diamond Horizontal Carousel can be flexible zones to allow for increases/decreases based on requirements. Pod A pod is two or more horizontal carousels used in an integrated workstation with software and pick to light technology. While the operator picks from one horizontal carousel in the pod the other is pre-positioning the next pick so the operator has minimal downtime. In a horizontal carousel pod a pick is always ready and the operator is rarely waiting. Stacked The Modula Diamond Phoenix Horizontal Carousels are designed with a modular frame construction to allow up to four carousels to be stacked. Double stacked carousels are typically used in conjuction with mezzanine to allow two levels of operator picking. Remote picking with our Inserter/ Extractor can produce the highest throughput in the industry, with upwards of 360 transactions per hour. It is the perfect completment to triple stacked carousels. All information provided in this catalogue is for informative purposes only and is not binding. Modula reserves the right to change information in this catalogue at any time. Modula will not accept liability for or guarantee the accuracy of the information contained herein.